Welcome to the Ausyfish web site. Ausyfish can supply fingerlings and fry of many Australian native freshwater species such as jade perch, silver perch, catfish and ornamental native fish. Ausyfish has over 30 years experience with international freight of live fish, and can ship to almost anywhere. Use the links above, and at the bottom of the page, to find more information. 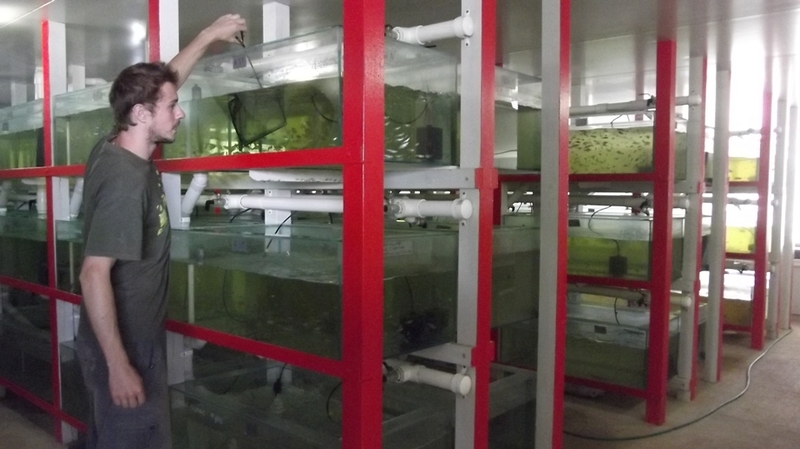 Ausyfish is a certified disease free hatchery, and an approved quarantine facility for export of live fish. 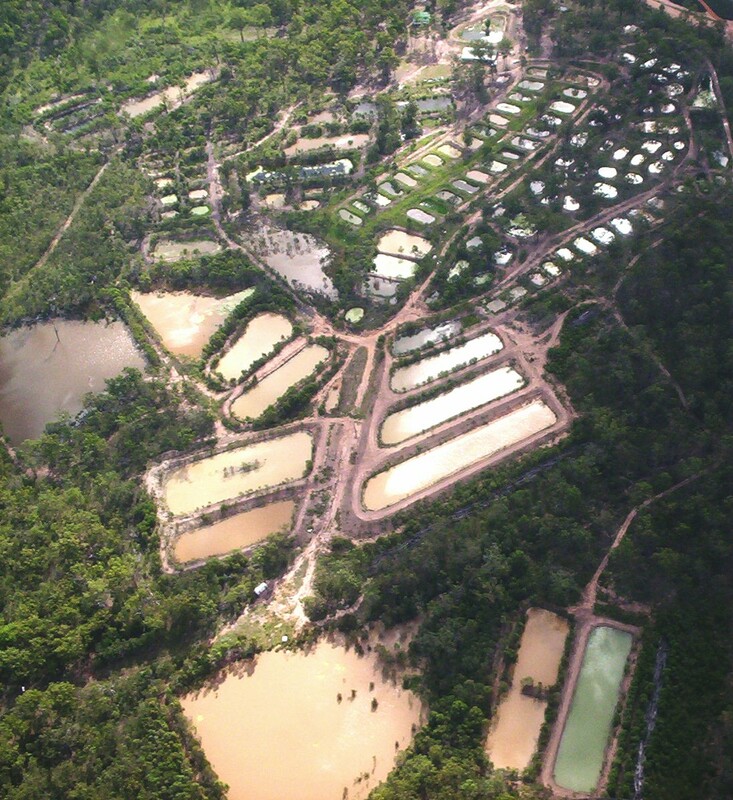 Ausyfish is an accredited hatchery under the Aquaculture Association of Queensland's "Hatchery Accreditation Program." An independently audited program. Ausyfish was established by Bruce Sambell in 1988. Stage one consisted of 28 ponds, 10m by 20m, and 2 quarter acre ponds. The water for these ponds was supplied by a 5 acre storage dam, seen in the bottom right of the aerial picture below. In 1992 an expansion program began that so far has increased the farm to 127 ponds and 3 storage dams. Natural vegetation has been retained wherever possible. Ausyfish receintly completed a major up-grade of its facilities. Improvements to date include a new laboratory, quarantine room, climate control room, as well as a new extension almost tripling the hatchery complex. Improved pond aeration and water delivery to ponds have also been completed. Click picture for a closer look. Underground three phase power has been installed througout the farm. Ausyfish Pty. Ltd., (Ausyfish) are either the owner or licensed user of the copyright in the material on this site. You may not reproduce, adapt, upload, link, frame, broadcast, distribute or in any way transmit the material on this site without our or Ausyfish's written consent, other than to the extent necessary to view the material or as permitted by law.